Still waiting for final USCIS approval. Your USCIS part went pretty smooth. Good luck. If it will be any help to someone, here is my timeline and status. I applied on persecution basis. I called yesterday because, on the RFE, it says "call us if you don't hear back in 60 days" and they said it is still processing. I also created an account on USCIS page using my receipt number but they even didn't update the page to reflect that they requested an RFE. The lady on the phone told that updating the USCIS page may be late sometimes. I think I forgot to check the status from DoS page also and just focused on USCIS page. Anyway, I got a favorable recommendation from DoS. I guess we still need to wait for USCIS final recommendation but it is most likely "favorable" as well after DoS. I hope you all get yours soon. November 20, 2018: I received a copy of DoS recommendation by mail. I attached the document in case it helps. You never had to send an RFE? Seems like you lucked out. Congratulations! Hi, I received an RFE in October. Hired an attorney and worked on the RFE response and sent them back earlier this month. The due date for the RFE response was Nov 25th. 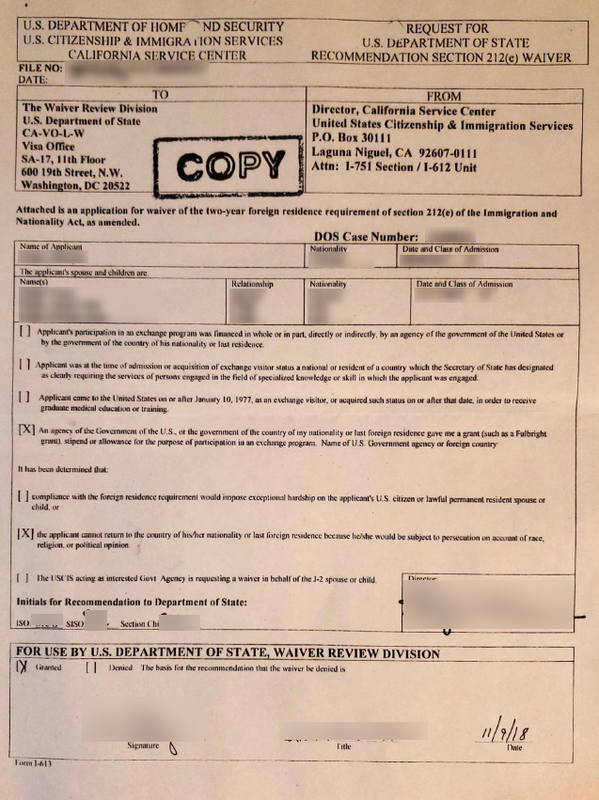 The RFE response was sent in a certified mail which shows it was received by the USCIS. However, there is no updates on the USCIS website, not even anything about the RFE that they sent me. Is there anything I should be worried about? Mine didn't appear on USCIS also. They sent RFE, got my response back, asked DoS for second opinion, received DoS recommendation. But their webpage still shows no update. I assume they don't update frequently. Thanks so much for the reply. How much time did it take for them to let you know after you sent them the RFE response? Update on my case: on November 28 USCIS asked for second opinion, it said on my account. So my case is on hold. I know it is different for everyone, some hear back in less than a week, some wait for months for DOS decision. I am keeping my fingers crossed. Anyone have any news on their case? Thank you! I hope we all get timely positive response. Good luck to you as well! State Department received my documents on December 03 from USCIS and approved it on December 06, so yesterday! Took them 3 days to approve. But to be fair, they received DS-3035 (alongside other documents) on September 06, 2017, so 15 months ago! Hopefully, this arduous journey is over and I can feel freer now! 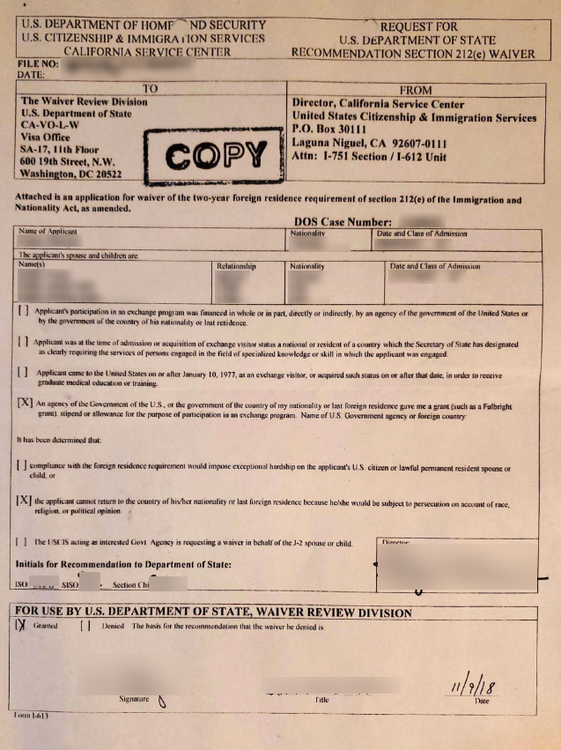 State Department received my documents on December 03 from USCIS and approved it on December 06. So I am considering this as a success. I still have to hear back the final decision from USCIS. Also, I did not work with a lawyer, but I did have a one-hour consultation with an immigration lawyer. I can give his information if anyone needs it. His consultation was really helpful for me to work on my own. Thank you. According to your timeline I am still couple months behind where your application is right now. I filled in Feb 2018. Received an RFE in October. Submitted response in November. Still waiting... even the online status of my application on uscis and dos hasn’t been changed. But I guess they don’t always update the online status on time. Hey everyone. 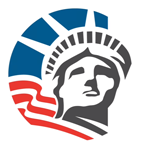 I got the final approval from USCIS. Just wanted to let you know. This forum helped me a lot for not stressing out and keeping the timeline. I hope you all get your approvals soon. Now will start another process in my life: H1B. December 9, 2018: I received USCIS approval. Hi @applicant23- How long you had to wait after sending your RFE response to the USCIS to hear back from them confirming that they have received your RFE response? Congratulation!! Happy to hear u are finally done with the waiver. I sent my rfe response end november was delivered December 3 by usps but still uscis website did not update that they received it. Should i be worried?! Last time it updated the next day this time it is been a week since received and no update still showing rfe sent. Hey @Stillwaiting88 ! firstly, thank you. regarding the receipt of your rfe, I honestly would wait until mid-week or late this week to definitely give a call to uscis, if they dont update till then. Told me to wait 60 days and keep checking the website. To be honest i am sick of this.